According to new data released by MNI, manufacturing job growth in the Maryland/DC region intensified up over the past year, led by strong growth in the state’s medical instruments and food processing sectors. 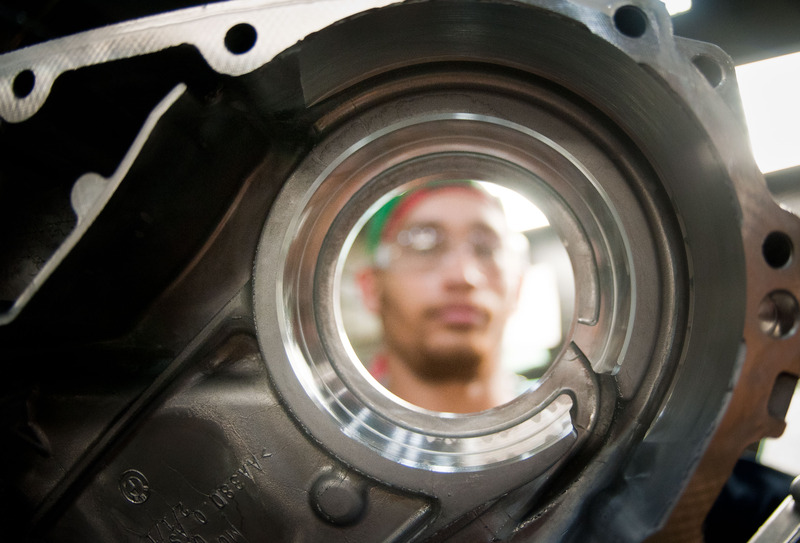 So what is driving the region’s manufacturing momentum? This article will take a look at some of the major developments that have occurred in the region since the recession, including new company announcements. We’ll examine the state’s outlook in light of new federal and state policies and explore IndustryNet’s extensive regional and historical data for the state. Maryland manufacturers added 1,112 industrial jobs between May 2017 and May 2018, a half percent gain. Gains were led by the region’s medical instruments/related products sector, which grew by 3%, and is one of the region’s largest industries by number of jobs, employing 11,519. 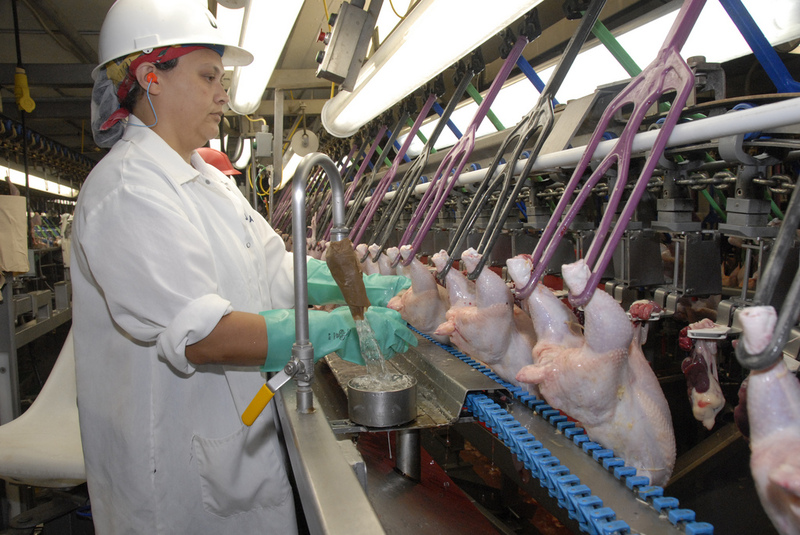 Food processing, also one of Maryland’s largest manufacturing sectors, grew by 1.3%, and currently employs 15,350. Additional gains were reported in primary metals; and transportation equipment; instruments/related products; and plastic products. Industries losing jobs included lumber/wood; electronics; and chemical processing. MNI’s city data shows industrial jobs in Baltimore declined 3% over the year, while D.C. industrial jobs were up a half percent. Central Maryland, which includes the District of Columbia, added a half percent to its industrial workforce, while Eastern Maryland added 1.3% and the western region of Maryland added 1%. Maryland benefits from an innovative industrial sector, with some serious investment made in biotech and pharmaceuticals. The recent tax reform bill, enacted in January, has helped many manufacturers invest and expand hiring, while a number of enterprises have set up shop in Maryland, drawn by its skilled labor pool and focus on technology. A recent study by CNBC ranks Maryland 6th in the nation for the quality of its workforce, and 10th in the nation for technology and innovation. At the same time, business costs in the Maryland/DC region are among the highest in the nation. Concern over import tariffs is also growing among some Maryland manufacturers like Independent Can Co. in Belcamp, which is currently looking to cut jobs due to the new steel tariffs. Independent Can uses imported steel for the manufacture of its decorative tin containers, and currently employs 145. Maryland ranks fourth in the nation for states that are most likely to suffer from tariffs on imported steel and aluminum, according to a study by MarketWatch. 43,000 of the state’s workers are employed by industries that rely on imported steel and aluminum, while only 301 are employed directly in steel/aluminum production, according to the study. It remains to be seen how the tariff situation will unfold in the Maryland/DC region. Many manufacturers are turning to industrial marketplaces like IndustryNet to find local suppliers of steel and aluminum, while others are seeking exemptions to the tariffs. Maryland/DC struggled to return from the recession, losing nearly 16,000 jobs or about 8% of its industrial workforce between May 2009 and May 2016. This was largely based on continued losses in Baltimore, which has cost the region roughly 10,000 industrial jobs since May 2009. Baltimore’s losses have begun to ease in recent years, with MNI recording just a half percent loss for the city over the 2016-2017 survey period. And although this survey period’s 3% loss recorded in Baltimore does not bode well for the city, it’s still a far cry from the double-digit losses over the recession, and a number of new plant announcements point to a possible turnaround in the future. Veolia North America, for instance, recently announced it would build a new chilled water facility in downtown Baltimore; while Maryland Packaging plans to establish a High Pressure Processing (HPP) facility in the city. In addition, Guinness recently established a brewery in the Baltimore area --its first U.S. facility in fifty years. Other highlights for Baltimore included the growth of Emergent Biosolutions, which doubled capacity at its vaccine manufacturing and packaging facilities in Baltimore, with plans to hire hundreds in the coming years. Holly Poultry a Baltimore-based chicken processing facility, announced plans to expand hiring. More jobs for Marylanders Act: Is it working? In 2017, Maryland governor Larry Hogan announced the “More Jobs for Marylanders Act”, a plan to significantly boost manufacturing investment by removing state taxes for new manufacturers relocating to cities like Baltimore. The Act was hailed as “The most significant support from state government for manufacturing and for job seekers in decades,” by the Regional Manufacturing Institute of Maryland. It has since been expanded to include five additional counties in the state. Now, more than a year in, The Act seems to be working, with 124 companies across the country showing interest in the program. Among the companies responding to the generous deal include Florida-based Ring Container Technologies and California-based Fabricated Extrusion Company. Together, if all 124 companies successfully relocate to Maryland, 2,000 additional manufacturing jobs will be added to the state. Maryland’s manufacturing sector was hard-hit during the recession and has struggled to recover since. A decade ago, the state was home to 199,409 industrial workers. Those numbers declined precipitously during the recession, and by May of 2012, the state’s industrial workforce shrank to 187,828 jobs. Maryland/DC continued to lose jobs after the end of the recession, albeit at a far slower rate. The Maryland/DC region lost 4,400 jobs between May 2011 and May 2012, led by precipitous losses in electronics manufacturing; rubber/plastics; stone/clay/glass; and primary metals. This was the year Solo Cup closed its facility in Owings Mills, and defense contractor AAI Corp saw layoffs at its Maryland facility. A number of new operations were announced in the region, however, including ELTA North America, which announced plans to establish an aerospace facility in Howard County; as well as establishment and expansion of a Protenergy Natural Foods site in Cambridge; and the opening of a MedImmune pharmaceutical plant in Frederick. In addition, General Motors announced plans to move some electric vehicle parts production from a factory in Mexico back to its plant in Baltimore County. Industrial gains were seen in chemical processing, up 5.5%; and instruments/related products, up 4.3%. Baltimore industrial jobs declined 3.1% in this year, while D.C. jobs increased 3%. In May of 2013, MNI reported its first gain for the region since the end of the recession. The region added 684 new net jobs. Although this only amounted to a gain of a third of one percent, it was welcome news after the region loss nearly 23,000 jobs during the recession. Manufacturing job gains were led by the industrial machinery sector, which rose by 1.7%, employing the third-most factory workers in the state. Gains were also seen in textiles/apparel; rubber/plastics and transportation equipment. Bright spots were seen across the region in this year and included the establishment of Knorr-Bremse’s rail vehicle systems plant in Westminster and the opening of beverage maker Diageo’s blending and packaging plant in Relay. Losses were seen in food processing, after Good Humor closed their ice cream plant in Hagerstown, while furniture/fixtures and fabricated metals also posted losses. Baltimore continued on its downward slide, shedding 3.2% of its jobs, while D.C. industrial jobs remained steady. In a reversal of the previous year’s fortune, Maryland/DC shed industrial jobs once again in this year, with the workforce shrinking by 2,180 or 1.1%. High business costs continued to plague the region, as did the defense department cuts, which affected many of its industrial locations with defense contracts. Industrial losses were led, however, by the printing/publishing sector, which shed 7.5% of its jobs, and ranks first in the region for industrial employment. Additional losses were seen in stone/clay/glass; rubber/plastics; and furniture/fixtures. Losses for the region included the closure of a Smithfield Foods bone-in-ham plant in Landove, and the shuttering of a Benjamin Moore facility in Baltimore. Layoffs were announced at Constar International’s injection molding plant in Havre de Grace, while firearms manufacturer Beretta announced plans to shift all production out of its Accokeek factory to a new facility in Tennessee. Bright spots for Maryland/DC’s manufacturing sector included the expansion of a Frito-Lay plant in Aberdeen and the expansion of Volvo Powertrain in Hagerstown. Both Baltimore and D.C. announced industrial job losses in this year, with D.C. losing slightly more jobs at 2.1% and Baltimore losing 1.7%. Industrial job losses in Maryland/DC decelerated in this year, with jobs down by 470 or less than one percent. Declines were led by printing/publishing and primary metals, offset by strong gains in chemical processing; transportation equipment; and fabricated metals. The region’s focus on innovation came to light in this year, with the opening M3D’s new 3D printing plant in Bethesda, and Local Motor’s announcement that it would establish a facility in National Harbor for the eventual manufacture of 3-D printed vehicles. Additional bright spots included the expansion of plastic fencing maker Tenax Corp in Baltimore. Baltimore, however, still posted a loss this year, with jobs down 1.9%, while D.C. jobs edged up 1.1%. In this year, the region’s industrial sector added 300 jobs, with gains fueled by a 1.6% gain in chemical processing. 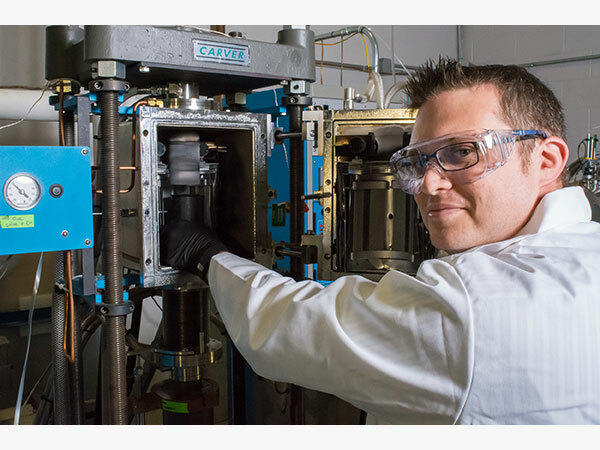 Chemical processing employs the second-most industrial workers in the state, employing 19,000. The region’s industrial job gains would have been greater if not for continued losses in the printing/publishing sector, which shed another 1.6% of its workforce in this year. Bright spots included the establishment of Mama’s Biscuits’ new gourmet biscuit manufacturing facility in Frederick. In addition, Textron Systems expects demand for drone manufacturing at its Cockeysville facility to thrive in the coming years as it ventures into the commercial market. Other boons to the region’s industrial sector included the expansion of EVAPCO, Inc.’s industrial refrigeration products plant in Taneytown, and Knorr Brake Co’s recent announcement of its plans to expand its Westminster facility, eventually adding 200 jobs. IndustryNet allows users to search and source more than ten thousand types of products, parts, supplies, and services for free. IndustryNet® lists every U.S. manufacturer plus thousands of wholesalers & distributors and industrial service providers. To connect with industrial suppliers in Maryland/DC and across the U.S., start your free search on IndustryNet. Or, to access detailed profiles of Maryland’s 4,800 manufacturers and their 13,000 executives, learn more about MNI’s IndustrySelect database subscription.